With spring approaching, we look at what farmers with cover crops in the ground need to consider when making way for their next spring crop. Cover crop destruction is next on the agenda for many growers, with some looking to spray off cover crops as soon as conditions allow. But deciding how and when to destroy cover crops can be challenging and depend on a number of factors including soil type, cover crop characteristics and the method used for establishing a spring crop. Given recent cold temperatures, growers are reminded that the efficacy of herbicides, including glyphosate, is likely to be impaired. Kings technical adviser, Paul Brown says: “Growers have to be careful when applying glyphosate-like products at this time of year as it works much slower when temperatures are cold. 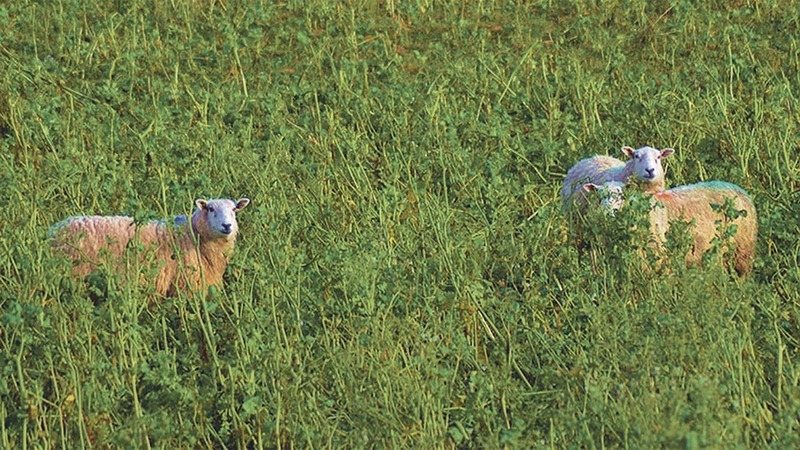 Mr Brown says some of his customers graze cover crops in order to reduce the size of the cover crop canopy, which in some instances, has killed the cover crop and removed the need to apply a total herbicide. 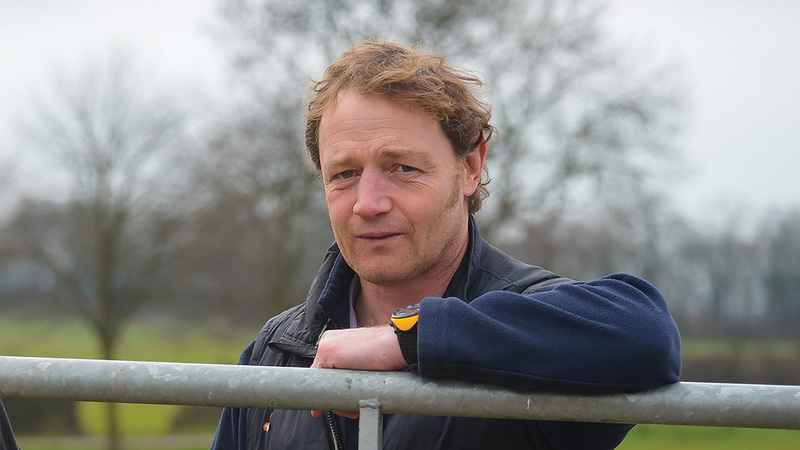 “I find lots of people, probably around 25 to 30 per cent of my customers, have animals grazing the cover crop which makes it easier to kill and can sometimes eliminate the need to use a herbicide altogether. However, he says there is a risk of some regrowth where grazing is used as the ‘stand-alone’ destruction strategy and so care should be taken to ensure weeds can be removed in the following crop. 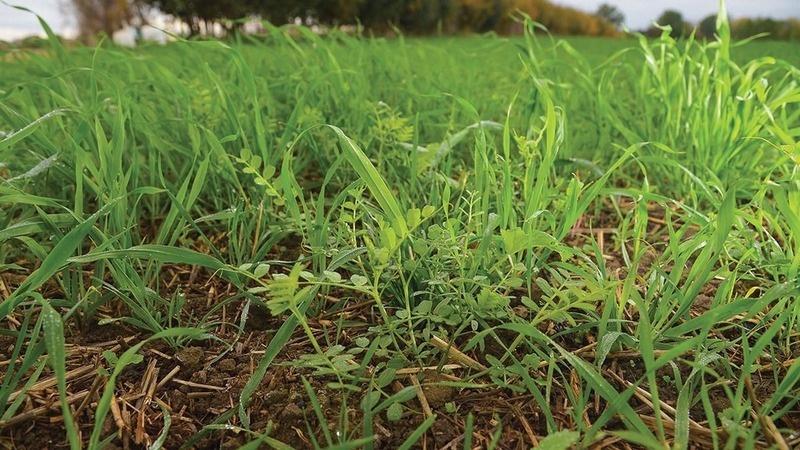 “Many are following a cover crop with spring barley and so it’s easy to kill weeds with a standard herbicide application, even if there is some cover crop regrowth. “But you can get problems where spring beans or sugar beet precede a cover crop, so it’s crucial the cover crop is dead and grazing may not be the best way to do that. “However, it may be an idea to graze it, leave it for a couple of weeks and potentially apply a herbicide if there is any subsequent regrowth,” he adds. Similarly, where cereals follow the cover crop, he suggested growers may want to look at using alternative ‘desiccant-type’ products such as Shark (carfentrazone-ethyl), to reduce reliance on glyphosate. If growers choose to use alternative products, he recommends checking the product label to ensure the interval needed between spraying and subsequent crop drilling is appropriate. Another option to aid cover crop destruction is the use of crimper rollers, which damages the crop, allowing better uptake of herbicide products. DSV sales manager, Michael Farr says: “When you roll plants you snap the stalk off at the base which weakens the plants ability to recover. Ultimately, the method growers choose to remove their cover crop, depends largely on the objective of the cover crop, whether it be black-grass control, soil structure improvement or nutrient capture. Mr Farr says: “If you are looking to do a biofumigation job, you can plough it straight in and not spray it at all, it all depends on what you are trying to achieve. Having a clear idea of the purpose of the cover crop is also important in deciding when it will be destroyed. Mr Martin says: “If you are looking for grass-weed control then I would get the cover crop burnt off early to allow the soil surface to dry out and allow for minimum disturbance at drilling. “If you are not looking for weed control and you are going to be moving soil and trash about then you can go later. However, creating good soil conditions ahead of spring drilling is often a key driver in determining the timing of cover crop destruction. Typically, on heavier land cover crops are removed earlier to allow time for the land to dry out. However, Mr Farr says there are two potential approaches. “You can either have the crop so it’s actively growing and drying out the soil or, if you’re in a wet situation, you can go in earlier to allow evaporation to dry out the soil. For those working with heavier land, Mr Brown recommends burning off the crop six to eight weeks before establishment, with large crops taking priority. Where soils are lighter, he says growers can leave spraying until immediately before drilling and can potentially drill directly into the cover crop. Backing up this research, Midlands agronomist, Luke Wheeler has seen improved results where this approach has been adopted. He says: “I have found that spraying off cover crops at least 30 days prior to the drilling of the next crop can give a significant yield advantage to the spring crop compared with destruction shortly before drilling. Earlier nitrogen availability is thought to be another advantage associated with earlier destruction. “if you destroy the cover crop earlier, the chances are you will get an nitrogen bleed back earlier the following season,” says Mr Farr. But subsequent N availability can vary depending on the C:N ratio of the cover crop, according to Mr Martin. “Mustard has a high C:N ratio so it takes a long time to break down, therefore you would need to spray it off earlier to give it time to become available to the following crop. “Meanwhile vetch has a low C:N ratio, so you could afford to spray it off later,” he says. Although research on subsequent nitrogen availability is limited, within the AHDB review, NIAB scientist Ron Stobart suggests that the majority of nitrogen captured is only available for the following crop. Therefore, it is important growers supply an early nitrogen application to the spring crop as a means of replenishing nitrogen taken up by the cover crop. Where canopies have been large, nitrogen offtake it likely to be even greater. Where cover crops remain in the ground until just before drilling, this can be even more important as the cover crop is likely to have dwindled soil resources.